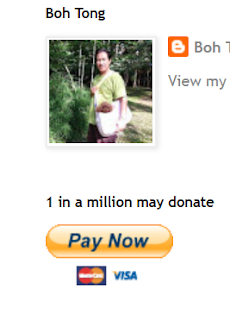 Some of my readers have asked how much donations I've received all these 11 years since I started blogging. I feel quite embarrassed to disclose the amount I've received but nevertheless since they kept asking me, I will now tell the embarrassing truth.....S$65 in total on 2 occasions. The first was a donation made by an American ($60) and the second was by an ex-crew ($5). Hope this will satisfied their curiosity. PS: Just in case you want to donate the "Pay Now" button is on the right hand side.